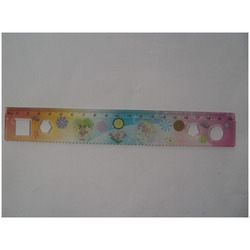 Our product range includes a wide range of 3d ruler, mathematical ruler, ruler toy and geometry set. To meet the diverse requirements of our clients, we are engaged in offering a wide range of 3d Ruler. These Stencil are sturdily constructed and ensure long lasting service life. All these products are available in different sizes and specifications as per the needs of our clients. These products are offered in wide ranges of striking colours and prints. Based on new techniques and latest equipments, we are involved in offering a large range of Mathematical Ruler to fulfill the demands of our clients. 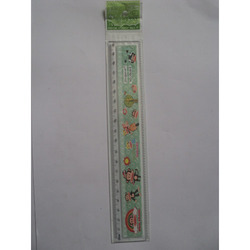 These rulers are well designed and are available in different sizes, designs and patterns according to the needs and demands of our clients. Our products are highly durable and cost effective. Backed by the years of experience and expertise, we are engaged in offering a wide range of Ruler Toy to fulfill the demands of our clients. These products are available in eye-catching prints and alluring colors. The looks of these rulers are highly attractive and eye-pleasing. We are offering these products at market-leading rates. Looking for Rulers Geometry Sets ?